Rep. Allen Jesse Capuyan Mangaoang, who is popularly known among his relatives, friends and acquaintances as Sonny, wanted to be a doctor when he was in his younger years because of his verdant desire to help people, especially those who come from remote villages. He was able to experience the difficulties of life in the hinterlands after having been raised in Balbalasang, Balbalan, Kalinga from parents who were educators in a private institution. He and his seven brothers and sisters were exposed by their parents to the realities of life in their formative years to be prepared with whatever eventualities that may happen. Born on July 21, 1959, Sonny is the third among the eight children of Jesus Puyao Mangaoang, who hails from Aringay, La Union and Balbalan, Kalinga, and Rose Bacayan Capuyan with roots from Sagada, Mountain Province. His parents met in college while both attending Baguio Colleges Foundation (BCF), now knownn as University of the Cordilleras (UC). 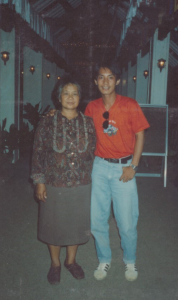 Upon graduating, his mother and, briefly, his father went to teach at St. Paul’s Memorial High School in Balbalasang. Sonny’s eldest brother Erwin is the current project manager of BHM Construction, while her eldest sister Bernadette also became a teacher at St. Paul’s Memorial School. His late younger brother Kenneth, the former municipal mayor of Balbalan, was a civil engineer, while his younger sister Carol is a chemical engineer. His other younger sister Faith became a doctor. Both youngest sister Gail, a graduate of accounting, and youngest brother Swanny, a mechanical engineer, are at the helm of BHM Construction being the finance manager and general manager, respectively. “My dream then was actually to become a doctor so that I will be able to help my townmates. I enjoyed helping my schoolmates when I was in elementary,” Sonny said. He narrated that at a young age, their parents inculcated in them the importance of independence, self-reliance and resilience. “That is why each of us were assigned household chores which we must do everyday,” he regarded. “We were constantly reminded by our parents to value the work we do and [to] study hard so that we will be able to complete a degree considering that our education will be our best inheritance from them,” Sonny added. The competition for top honors continued between some of his cousins and himself when they entered high school at St. Paul’s Memorial School. Eventually, he ended up as the class valedictorian when he accomplished secondary education. 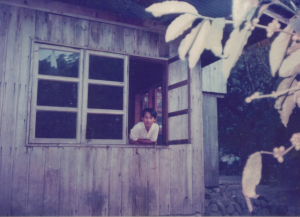 When he was thinking of taking up a pre-medicine course, his father, who was working at that time with Lepanto Exploration Asia, a subsidiary of Lepanto Consolidated Mining Company, influenced and helped him decide to pursue geology. He was further convinced after learning that geologists were in demand, and that the profession was reported to be handsomely compensated locally and overseas. Prior to entering college, he applied for a scholarship grant with the Commission on National Integration (CNI), formerly the Office of Northern Cultural Communities (ONCC), and now known as the National Commission on Indigenous Peoples (NCIP). He passed the examination and got a slot. This allowed him to continue towards his geology studies at the Manila-based Mapua Institute of Technology (MIT). 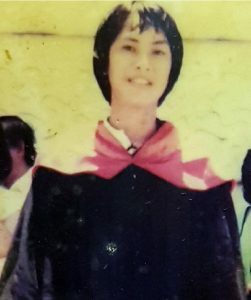 After his graduation in 1980 and with the prodding of his parents, he applied for a job at the Lepanto Consolidated Mining Company, and was initially accepted as a trainee-geologist in Mankayan, Benguet where the company was based while he was awaiting the results of the geology board examination he took before being promoted as a junior geologist and senior geologist. In December 1980, being on a brief break from work, Sonny’s homecoming was met with financial troubles. His mother expressed the family’s dire need for money to sustain the education of his younger brothers and sisters. In his pocket that day was his salary and bonuses totalling P 5,000. “As a proud person having a hefty sum of money in my possession as a product of my sweat and hard work, I immediately informed my mother of the amount and handed it over to her as my counterpart to help my brothers and sisters pursue their desired degrees,” Sonny said. “My mother was emotional to receive the amount from me but I told her that it was my contribution for my brothers and sisters to be able to pursue their studies,” he added. Sonny also disclosed that there was an instance when four of them were studying in college and one of the options being considered by his parents was to have one of his younger sisters, Carol, temporarily stop her studies until such time that they graduated. His heart sunk when he witnessed the disappointment of Carol who decided to temporarily leave Balbalasang in search for a scholarship grant that will allow her to continue with her studies and lessen the burden of their parents. Fortunately, Carol was able to get into a scholarship programmed which allowed her to graduate chemical engineering and soon become successful in her chosen field of profession. As fate would have it, her younger sister Faith also found a scholarship grant that enabled her to graduate from her medical course and become a doctor. In 1988, Banahaw Mining corporation reportedly tripled Mangaoang’s salary in the Mankayan-based Lepanto Consolidated Mining Company that allowed him to work as a resident geologist in the company’s exploration area in Mindanao but a few years later, Goldfields Philippines went on to double Sonny’s salary in Banahaw that paved the way for his work with the mining company as a similar geologist in Bicol. 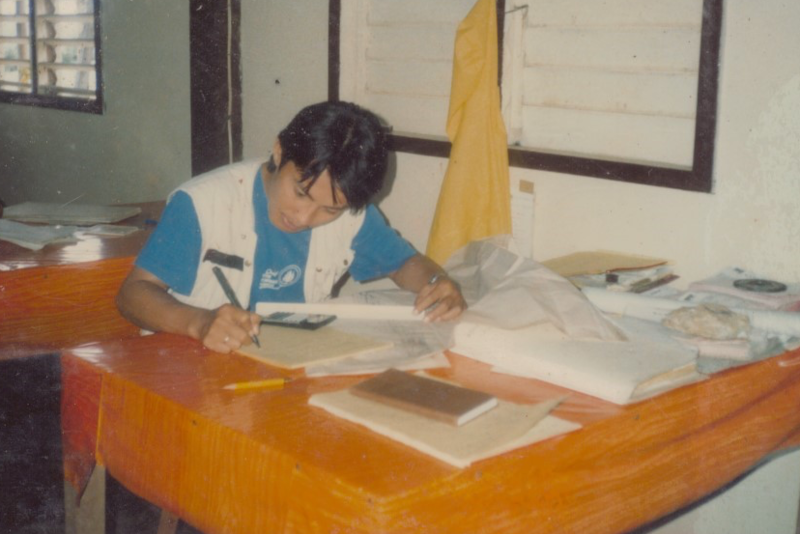 After the July 16, 1990 killer earthquake that rocked most parts of Northern Luzon, Mangaoaong opted to help his father in his construction business. One of his duties and responsibilities then was to assist in the processing of documents for the sourcing of funds that will bankroll the implementation of major infrastructure projects considering the need to rehabilitate the areas devastated by the intensity 7.9 temblor. His father and himself were successful in working out the provision of funds from concerned government agencies in the prosecution of various infrastructure projects, mostly in Baguio city. He was also able to enter into contracts with private companies such as Lepanto where AJM Construction built its existing dam before working on a similar project in Subic. Because of the company’s good performance in the construction business, he admitted that contracts from both the government and the private sectors allowed comfort. The abundance of projects provided contractors with the option to choose what they will and are able to implement. There was even a time when he was offered a huge mining contract in Metro Manila. He, however, had to decline the offer due to the huge operational expenses that will be required to monitor the implementation of the project. “Government and private projects were all over the place that is why we have the option to either take or reject the projects being offered to use for implementation. We have to accept projects that we were capable of completing so that we will have a good track record in the construction business,” Sonny said. 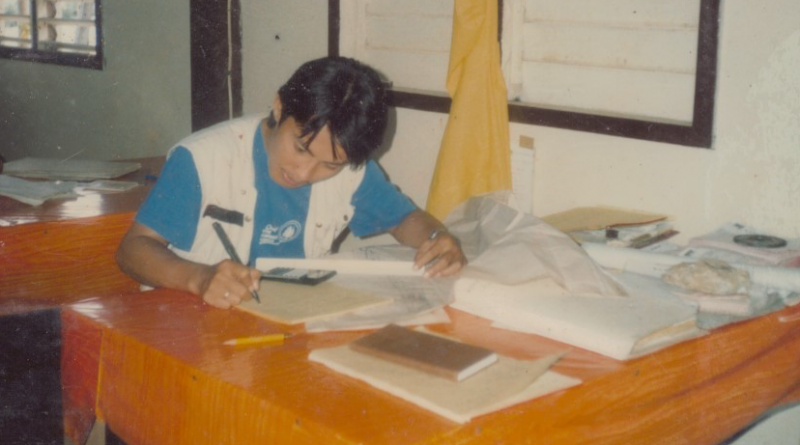 In 1995, he decided to go home to Balbalasang and was saddened over the sluggish development in the municipality. Many elders in the community approached him and convinced him to seek an elected position in the May 1995 elections. Upon consultations with his family, relatives and people in their municipality, he decided to file his certificate of candidacy for vice mayor; thus serving as his stepping stone in entering the political arena as a neophyte politician. “I had some doubts on my inability because my father lost his bid for the town’s mayoralty post in the 1992 elections, but I relied on the commitment of my supporters. This gave me the push needed to seek a position in the municipal level, and to start my political career,” Sonny exclaimed. Sonny’s proclamation as Vice Mayor of Balabalan jumpstarted his political career. In his assumption of the position, the municipal council was able to put in place the needed policies, programs, and accompanying legislations that institutionalized major interventions. In 1998, Mangaoang tried his luck in the town’s mayoralty race upon the prodding of his supporters. Various sectors in the municipality engaged the candidates aspiring for elected position to enter into a covenant that will supposedly prevent violence and vote buying, among other election malpractices, for the prevalence of honest, orderly and peaceful elections. While it is true that the candidates, including him, signed the peace covenant, his rival for the mayoralty post grossly violated the agreement while he religiously complied with what they signed. This resulted to his defeat. “My supporters were so emotional then that I had to console them by making a commitment that I will be coming back and give my rival a dose of his own medicine,” Sonny stressed. During his temporary absence in politics as a result of his loss in the May 1998 elections, Sonny went back to the construction business by reviving AJM Construction. It was his hope to earn income that will sustain the living condition of his growing family. After several years he went back to Balbalan prepared and with a clear goal of avenging his loss against his political rival. “We still adhered to the practice of clean and honest elections by not practicing vote buying among other election malpractices which allowed our constituents to bestow their trust and confidence on us by giving us the chance to be the town’s local chief executive,” he said. When he assumed the position of Municipal Mayor of Balbalan, he encouraged the participation of different sectors in the affairs of the local government by soliciting their inputs on improving the situation of the locality. One of the issues raised were roads. Of the town’s 14 barangays, only 6 were accessible by roads while 8 barangays, on the other hand, were not. Roads as a means of connectivity was one of Mangaoang’s major priorities. Through appropriate linkages with concerned government agencies, he was able to source out the necessary projects that will be implemented in the municipality. One of the social welfare programs that was institutionalized during Sonny’s first term as municipal mayor was giving birthday cakes to senior citizens on their birthdays. During that time, it was recorded that there were around 1,600 senior citizens in the town. The cakes were delivered at their respective doorsteps by assigned local government personnel on their own personal special days. Another perennial problem that was solved during Mangaoang’s incumbency as mayor was the shelling out of the personal money of teachers to fund the participation of students in different local, regional and national academic, and sports competitions. Then Mayor Sonny Mangaoang provided an avenue wherein school officials can ventilate their programs and projects that can potentially be funded by the local government. Through their encouraged participation in local school board meetings, a means to avoid the use of their personal money for such projects was established. In addition to the above mentioned initiatives, necessary policies, programs and accompanying legislations institutionalized when Sonny was still vice mayor were effectively utilized when he became the town’s local chief executive. “I never expected that the legislations we were able to craft were the same ones that I will implementing when I was elected as the Municipal Mayor of Balbalan,” he said. 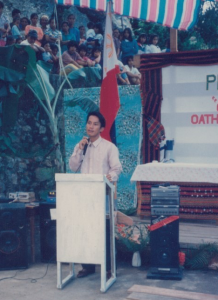 Because of the numerous interventions that Mangaoang introduced right on his first term as mayor, no one attempted to challenge him in the May 2004 elections. This ushered friendlier tides suitable for smooth sailing in his second term. During the May 2007 elections, Mangaoang was supposedly unopposed, but his political rival was prevailed upon by influential provincial officials to go against him. Sonny did not mind the challenge that was hurled against him nor did he falter. In fact, at the height of the campaign period, being one of the few chosen local chief executives in the country who were at the spearhead of having good and accessible health, nutrition and social welfare programs and services that benefitted numerous people in the municipality, in stark contrast with his predecessors, he was sent on a trip to Europe as the nation’s gesture of appreciation. Much more, Mangaoang was also a recipient of the Consistent Good Governance Implementer award among other local, regional and national honours that were conferred to the local government. Attendance to which made a significant loss in time to campaign. When he went back to the municipality a few weeks before the May 2007 elections, he opted to focus his efforts to support and assist his father-in-law, the late Kalinga Rep. Manuel S. Agyao, who was then running for his first term as congressman of the province instead of taking advantage to catch up in the local campaign trail. With all modesty, sheer commitment to public service, and his heart at the right place, he emerged victorious for his third term in office as the Municipal Mayor of Balbalan and went on to sustain the implementation of his award winning programs and projects. Aside from institutionalizing the local government’s programs on the delivery of basic services to the people, Mangaoang was able to facilitate the linkage of the 6 of 8 inaccessible barangays; thus paving the way for the sustained growth and development in remote villages of the town. “We were trained to do good that is why we tried our best to work for the welfare of our constituents when we were given the opportunity to serve the people of Balbalan and the whole province of Kalinga. We do not want people to be harping at our wrongdoings but we want people to talk about our significant accomplishments that have contributed to the development of Kalinga as one of the most developed provinces in the country in the future,’ Sonny added. Sonny was setting his sights for the province’s gubernatorial post in the May 2010 elections but he was prevailed upon by his late father-in-law not to push through with his plan considering that he was seeking re-election for the congressional post. “My late father-in-law and some tribal and political leaders called for me and inquired on my political plans. When I told them that I wanted to run for governor, my father-in-law politely asked me to forego my plan and as a good and obedient son, I immediately acceded to his request. So I decided not to run for any political position that time,” he claimed. On December 12, 2009, he was approached by former Tabuk City Mayor Camilo Lammawin, who earlier filed his certificate of candidacy for the vice-gubernatorial position, in consideration of the last day for substitution of candidates for the May 2010 Elections. Camilo asked Sonny to take his place as candidate in the vice-gubernatorial race. Initially, he was reluctant as he already informed the Nationalista Party Leadership that he was no longer running for any elected position in the province. At that time, he already had his mind set in going back to the construction business. But when the opportunity to serve presented itself, he immediately seized it. “That is why I was able to file my substitution documents at around 4 o’clock in the afternoon of the last day,” he recounted. Mangaoang disclosed that campaigning for the vice-gubernatorial post was simple and straightforward. He utilized his numerous accomplishments as a Vice Mayor and Mayor of Balbalan to earn the trust and confidence of the people of Kalinga in voting for him. The result of which was an overwhelming victory, and his eventual proclamation as the province’s vice-governor. In his first term as the presiding officer of the provincial board, he facilitated the passage of local legislations that institutionalized the numerous programs, projects and activities that effectively and efficiently addressed the concerns of the society’s cross-section. Sonny was supposed to be unopposed in the May 2013 mid-term elections but due to the proddings of some influential leaders, a local politician went on to challenge him. He, however, managed to emerge victorious by banking on his performance and track record to convince the province’s electorate to give him his second term as Vice Governor of Kalinga. For the past several years of being vice governor, he continued to be a top performing presiding officer. “Together with my family members, relatives and supporters province-wide, we decided that I will be running for the congressional post that was to be vacated by my father-in-law who was on his third term as the representative of Kalinga’s lone district. It was both an honor and a pressure for me that time because I had to at least equal the accomplishments of the then Congressman Agyao. That is why I had to work double time when I was elected to the said position,’ Mangaoang stressed. From 2007-2013, the one-term vice mayor, three-term mayor and two-term vice governor was chosen by the Department of the Interior and Local Government (DILG) and the Galing Pook foundation to be one of 15 municipal mayors to be the lecturers of the newly elected municipal mayors under the Municipal Mayors Development Center, the education arm of the League of Municipal Mayors of the Philippines (LMP) where he lectured on good governance among other related issues of being a leader. Further, the Asian Institute of Management (AIM) also chose Mangaoang to be one of the lecturers of the National Movement of Young Legislators (NMYL) where he was able to be acquainted with Senator Francis M. Pangilinan among other NMYL leaders in the country. “I was just so lucky that I was chosen to be one of the few mayors to be able to go around the country and lecture my fellow mayors on the best practices of our local government for the same to be emulated in other municipalities. Even my late brother, Kenneth Dale, was also a recipient of my lecture series. I consider my having been chosen as one of the few lecturers as a privilege on my part because I was able to visit different tourist destinations to share our best practices,” Sonny stated. Agyao was said to have been instrumental in ensuring the opening of road networks that connected the province’s city and municipalities, the province to neighboring provinces and the region to other regions by ensuring the allocation of funds that have completed major road and bridge projects around the province during his three terms as lawmaker. 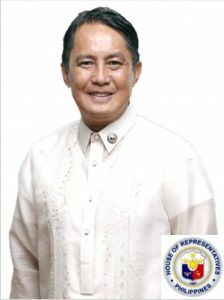 Sonny is one of the few first-term lawmakers who was able to be given a committee chairmanship in the 17th Congress after having been chosen by the majority block to chair the House Committee on national cultural communities apart from being vice chairman of the House committees on natural resources, science and technology and youth and sports development. He is also a member of the House committees on accounts, agriculture and food, appropriations, basis coversion, dangerous drugs, government enterprises and privatization, North Luzon growth quadrangle, public works and highways, rural development and social services. As the province’s representative to the House, Sonny envisions to complete the inter-connectivity of the municipalities and barangays through high impact infrastructure projects. It is expected that the developments will translate to the influx of economic activities in the countryside and the creation of jobs and other sources of livelihood for the people. He also intends to leave a legacy in Kalinga by having completed the construction of the P5.5 billion Chico River mega-dike project that will put an end to the perennial flooding to the 19 barangays of lower Tabuk city and the 5 barangays of Pinukpuk. The mega-dike project is an 18-kilometer long and 300 to 500-meter wide infrastructure. It is intended to abate flooding, and minimize the proliferation of illegal quarrying resulting to increased income to the city and provincial coffers. Furthermore, it is designed to enable the reclamation of over 700 hectares of land that could be converted to a government center, business center or ecotourism space, apart from being reforested. The mega-dike project will also be instrumental in the establishment of a local air strip that can contribute in the overall development of the province in the future. The approval of the plans for the project up to the level of Department of Public Works and Highways (DPWH) Secretary Mark Villar has already been facilitated by Rep. Mangaoang. The funding for the project is on a multi-year basis until 2022 to ensure that the project will serve its purposes. What was proposed, according to the lawmaker, was a permanent solution to the perennial flooding in the low-lying communities of Tabuk City and Pinukpuk. The agriculture industry stakeholders will especially benefit through the maxmimized potentials of their vast tracks of lands to earn year-round and help in uplifting the living condition of their families. Another problem that the mega-dike will solve, Sonny narrated, will be the savings to be incurred by both the city and provincial governments in terms of the frequent provision of millions of pesos in taxpayer’s money for dredging projects, which is simply a stop-gap solution to the flooding problem in the said places. Mangaoang attributed the graduation of Kalinga from the top 20 poorest provinces to the significant accomplishments of the late Rep. Agyao. His capability in sourcing out the needed funds to bankroll the implementation of major road projects that connected the different municipalities provided people a means to bring their agricultural produce to the markets not only in the province but also to neighboring regions. Because of easier access to the markets, he asserted that farmers were already ensured of income, unlike in the previous years where they had difficulty in looking for markets due to the absence of roads leading to urban centers inside and outside the region. “We want to pursue linking remote villages of Kalinga to the nearest urban centers so that economic activities will increase in the said areas. We want our constituents to be self-reliant in terms of maximizing the potentials of their assets when there will be sufficient infrastructure in their places,” Mangaoang added. Sonny wants to retire from politics after completing his 3 terms as a lawmaker with a legacy of having put in place the vital infrastructure needed by the people in the rural and urban areas to improve economic activities and sources of livelihood. Additionally, he also wants to help achieve the present administration’s goal of elevating the status of the Filipino families to be part of the middle-income class by the year 2040. “We are following the pace of development that was set by our predecessor that is why we are trying our best to include some innovations that will continue to bring our beloved Kalinga to greater heights – being one of the well-known producers of agricultural crops shipped locally and internationally,” he claimed. Sonny explained that one of the most challenging chapters of his life is his unsuccessful marriage with his first wife. As rugged as the road may have been, he did not abandon his obligation to help his three children. His eldest daughter, Nikki, who is a graduate of the University of the Philippines Diliman, now owns an occupational therapy center in the United States providing decent employment opportunities to more or less 30 occupational therapists. His second child, Ian, who is a business management graduate, now manages the operation of the small-scale mining tunnel of his late uncle, Kenneth Dale C. Mangaoang. Lastly, Dianne, the youngest among the three, is now a medical doctor undergoing review as she intends to take up the State board in the United States. “While I failed in my dream to become a doctor, I believe I will be seeing the realization of my dream in my daughter who is now a medical doctor, eying to practice her profession overseas,” Sonny said. Sonny took some time to file his annulment with his first wife because he had to seek the permission of his children when they reached the age of maturity. When the time came, they consented to his legal action. Currently, Sonny’s second wife, who is the daughter of the late Rep. Agyao, is seven months pregnant to their first child. “Politics comes from the heart and not from anywhere else. A good leader must be willing to go to the level of the ordinary people in the communities for him or her to understand their situation and eventually formulate strategies on how to address their simple and complicated problems. 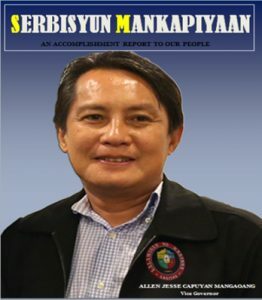 We have to be patient in dealing with the concerns of our constituents aside from the fact that we should be honest in providing them with whatever assistance so that they will bestow their trust and confidence on us as their true leaders,” Mangaoang advised young and upcoming politicians not only in the province but also those from different provinces and cities in the region. Sonny dreams of spending a day in his retirement by driving his own small car and touring the members of his family, especially his siblings, around Kalinga to appreciate the state of the province’s infrastructure and to listen to the comments of the people on what had been accomplished over the past decades when funds for infrastructure started to be earmarked by the government for the said purpose. “I will be proud to show my siblings the accomplishments we were able to achieve during my term as the province’s representative in Congress. I also want my children to listen to the good comments of the people on what we have done in completing the connectivity of Kalinga in terms of roads and bridges,” he said. Sonny hopes his legacy would inspire the present and future generations of Kalingas to replicate or surpass what had been accomplished. The standard in prioritizing implementation of infrastructure projects that would truly be beneficial and, more importantly, effectively solve problems of the people have been set – as exemplified in the accessibility-driven projects. Sonny encourages developments that would adhere to enabling Kalinga to do and be more, as is the intentions behind the accessibility initiative. “Good deeds will be treasured by our people. The respect that we have bestowed on our people also translated to them giving us due respect. In politics, we were taught how to trust and to be trusted that is why we were able to go this far in terms of our service to the people. We will continue practicing the traits that brought us to where we are now and we will never change our ways in patiently dealing with our people,” Mangaoang underscored.